Airlines in recent years have taken to technology to help cut costs and long lines. Here's a few tips for staying charged and connected. Several airlines now offer Aircell's GoGo Wi-Fi-based inflight Internet service (you can find a list of participating airlines on Gogo's Web site). Stay charged while at the airport. Keep a multioutlet travel power strip and surge protector with you, like the Targus Travel 4-Outlets Surge Suppressor, so you can plug in to a charging station and even share with others. Make sure you have configurable plug adapters that you can use in several countries. While they're rather bulky, buying one can be preferable to having to load up several different adapters if you're going to be visiting countries that use different types of plugs. Check in early. Most airlines will let you check in online up to 24 hours before departure and print your own boarding passes. This gives you the opportunity to select seats and, in some cases, get upgrades at a cut rate: Virgin America, for example, offers any unsold business class seats for drastically reduced rates within a day of departure. With some airlines and on some flights, you can even skip the printing part by using a smartphone to access the bar code that is scanned in at the departure gate. If this option is available, the airline will typically let you opt to have the boarding pass sent to your smartphone when you check in online (instead of printing it out). What you'll get on the phone is a link to a Web page with your unique bar code. Note: This eliminates the risk of losing a printed pass, but be careful: You might run into other problems. What if poor connectivity at the airport prevents you from accessing the page? You could opt to save an image of the page as a screen shot, but now you still have to worry about keeping the phone charged. And we've also seen reports of problems trying to scan in an image on a cell phone screen. Still, the technology is coming into wider use and will doubtless improve over time. Read Seat Guru's guide to in-seat laptop power, which has links to comparison charts showing which airlines and planes have outlets. In many cases some, but not all, seats have easy access to power outlets. 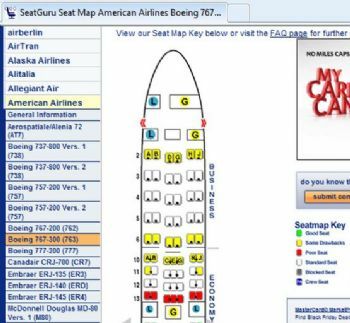 So it pays to click through to the seating charts for the airlines and planes you're considering: Seat Guru shows exactly which seats have outlets and which don't. Staying connected can really help you get away from it all in style. Follow our other tech travel tips to really travel like royalty.